The following are links to OFFICIAL Marine Corps or Department of Defense publications. 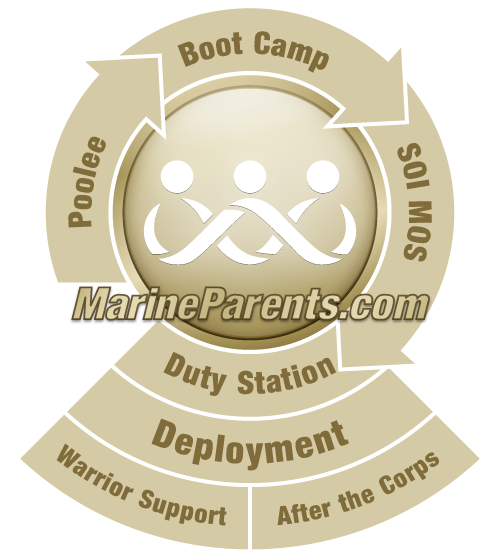 Click here to view the PDF file from the USMC. Click here for the original link to the file from the USMC. The Boot is a Parris Island publication. Jet Stream is a Beaufort, SC publication. The Department of Defense launched a new home page August 17, 2009, www.Defense.gov, designed to invite participation from the public and make military news and information more accessible. The new Web site will provide quick access to those sites that are most sought by Web site visitors, including DoD social media sites, the Pentagon Channel and DoD news stories. A Marine Parents supporter suggested we include this manual on our list. This Marine Corps Manual is issued for the instruction and guidance of all persons in the Department of the Navy in matters concerning the Marine Corps.